Looking for movie tickets? Enter your location to see which movie theaters are playing Whatever Works near you. 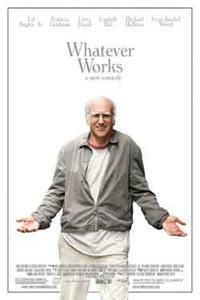 Sparks fly when an eccentric New Yorker (Larry David) meets a Southern gal and her family. Tepid adult comedy is no Allen masterpiece.